This Website Project compliments the recent UI/UX Design work completed for a Software Client. Bluezone Manager is an Integrated Software Product for the management of Compliance, Safety & Training. Eyesparks have worked for several years with Bluezone on the UI/UX Design of their various web and native applications. 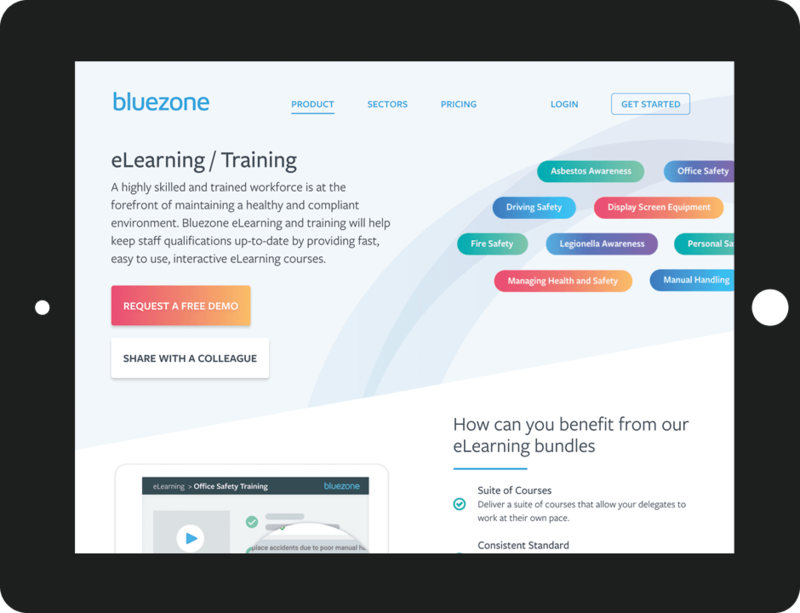 The previous Bluezone corporate website had become outdated in comparison with the new User Interface designs of their software applications. 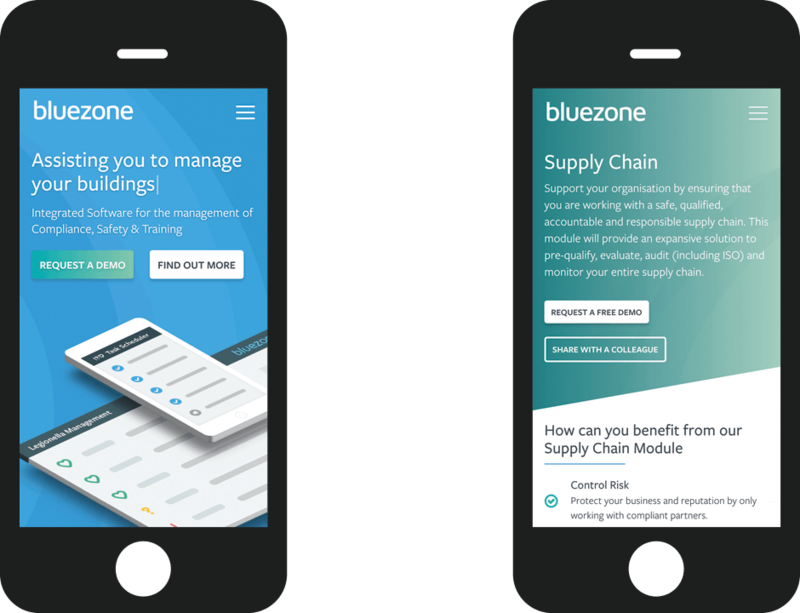 For the new mobile and desktop website, we simplified the Bluezone brand and ensured that it reflected the consistency and professional look and feel of the applications.